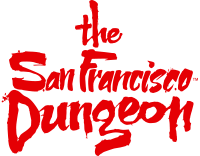 Do you offer the San Francisco Dungeon experience in different languages? Unfortunately, no we do not. The Dungeon experience is actor led, and the actors speak in English. Do you accept Foreign Currency at the San Francisco Dungeon?